Louis Vuitton + Chinese Museum = Marketing Success? 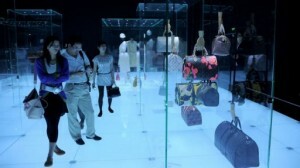 Louis Vuitton has taken over the halls of the national museum in Beijing to win over Chinese consumers. By nestling itself inside a building associated with history, pride and sophistication, the Louis Vuitton Voyages exhibition is benefitting from letting the museum do its marketing for it. Louis Vuitton has been in China for twenty years, and is already the brand of choice for many wealthy middle class Chinese. Putting on this show will cement that relationship – probably quite necessary given the influx of other luxury brands eager for their own space in China. Setting the show in a museum illustrates how Louis Vuitton understands their Chinese customers. Long-term heritage is an important factor for Louis Vuitton consumers and for Chinese luxury consumers, and a museum could be a perfect platform for spreading that message. 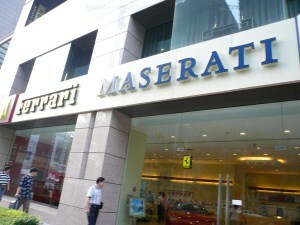 However, in communist China, the mix of luxury retail and national heritage has received some criticism, with the People’s Daily newspaper saying it was “too commercial”. The new Louis Vuitton flagship store opened in London last week. Situated on Bond Street and designed by Peter Marino, the multi-million pound “boutique fantasque” seeks to be like a home to well-heeled “collectors,” which speaks to both Theta and Lambda personalities. There’s currently a special exhibition of the 24 collections Marc Jacobs has designed since he first arrived at LV. Akin to that of a fashionista’s walk down memory lane, the whole effect is ‘expensive, quirky, glamorous – and totally contemporary’, writes Hilary Alexander, Fashion Director at the Telegraph. 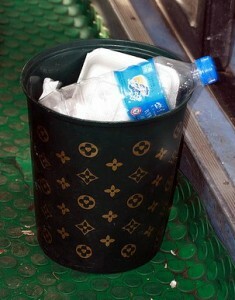 Louis Vuitton is a unique organisation: the products never go on sale, nor are they sold at duty-free shops. We create what people desire. And I love that commitment to quality. Perhaps it’s this uncompromising nature that continues to maintain the brand’s revenue, despite the state of today’s economy. 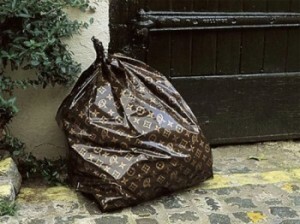 However, this approach only works for truly innovative, unique and long standing brands like LV. Not all designers can be so uncompromising. As seen in a previous post of mine on designers’ optimism, fashion designer and entrepreneur Carolina Herrera talked about the difficulty of maintaining the brand and its customers with the need to cut costs. Slashing prices on luxury brands is always dangerous as you risk jeopardizing the brand’s integrity and exclusivity. There are ways around this, as proven by the likes of Tiffany and Co. who avoided slashing prices by decreasing inventory levels instead. Describing himself as a ‘collaborator’ and not a director, Jacobs dismisses the thought of a couture collection or the possibility of designing costumes for films, stating that the “ready-to-wear [lines] is pretty much at couture level, anyway.” Clear on the direction he wishes to take the brand towards, Jacobs plans to launch the first ever Louis Vuitton fragrance. By maintaining a high standard of quality, Louis Vuitton has managed to thrive, not just survive, during this global economic recession. As the economy improves, they’ll hopefully be able to keep it up. 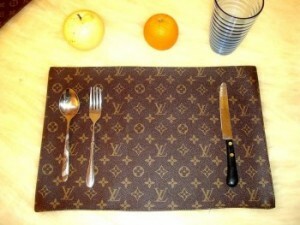 It’s great to be a desirable brand, but having the LV logo on things like these could dilute its value. I wonder how Louis Vuitton balances the need to police the marketplace for counterfeit goods versus the need make real Louis Vuitton goods exceptional. Following my post questioning whether we use luxury for the right purpose, today the Associated Press published a story about the booming luxury market and skyrocketing prices for unique luxury items. Exclusivity is in–logos and brands are important, but not as important as the quality and uniqueness of an item. Items cited in the article include a $700,000 Montblanc pen (covered with rubies, diamonds and sapphires), a $40,000 Louis Vuitton handbag (a limited number were sold out in pre-orders) and a $10,000 Coach crocodile handbag. 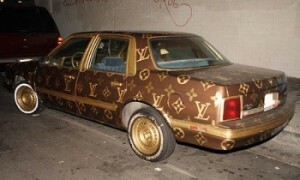 Attaining the “highest” level of luxury appears to getting increasingly difficult. But should it be? It might be worthwhile for people to take a step back and remember that luxury is subjective. It doesn’t need to be a $1000 pair of shoes. And if $1000 shoes are the only or most prominent ideal of luxury, that’s “a terrible ideal for young people,” according to John Vogel, faculty director at the Allwin Initiative for Corporate Citizenship at Dartmouth. We need luxury, but we also need to know what luxury is, for ourselves. Earlier this month the Luxury Institute released a survey that found that when buying a handbag, men in the US are more concerned with the label than with the price compared to women. 73% of men looked first to the label when buying a handbag (compared to 50% of women), and men were three times as likely to choose Chanel. It would have been interesting if the Luxury Institute had determined (or at least released) what the actually percentage of spending on handbags is for men versus women. I have a sneaking suspicion that women purchase the vast majority of handbags for themselves and men buy only a tiny percentage as gifts. 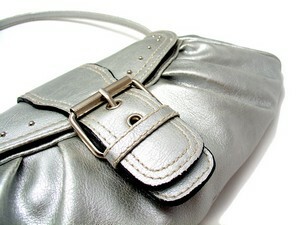 US leather goods seller Coach was the most familiar brand of designer handbags, recognized by 52% of respondents. 24% recognized Gucci, 22% Louis Vuitton and 21% Prada. This makes sense—Coach bags are relatively mid-range (costing several hundred dollars) compared to European labels whose bags can cost in the thousands. Men may choose the fancy bags on the basis of brand but women are buying more of the cheaper Coach bags as they’re less concerned with label compared to other factors like price and quality. If it is true that women buy the vast majority of handbags, the marketing challenge is then to get men to buy more handbags for women. 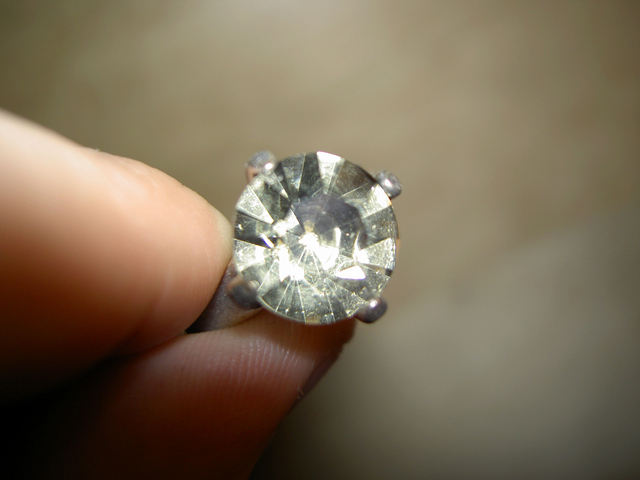 This completely opposes the status quo in the jewelry industry, in which the goal is for women to buy more jewelry for themselves. Today I came across an interesting commentary item from Unbound Edition, a publication by marketing consulting firm Patrick Davis Partners. Last month Bulgari announced that they are overhauling their business starting with their flagship New York boutique. The reason? They’re being left behind as Gucci, Louis Vuitton and other luxury companies actively court a broader (i.e. less wealthy) range of buyers. Bulgari’s plan is to focus less on the fine art gems they’re known for and more on relatively affordable accessories such as watches and handbags. Once one can afford anything – a jet, a six-figure watch, the walled spread on Anguilla – luxury transforms into something shaped by knowledge and access, not acquisitive binge. … Buying luxury is no longer about money; the currency of knowledge is more powerful. In other words, the driver of luxury markets is not price, ubiquity, inventory availability or distribution, yet that all seems to be part of Bulgari’s move. Knowledge worth paying for is certainly a phenomenon that’s picking up steam—greater interest in things from online review sites to concierge services reveals this to be the case. Would Bulgari be smarter to keep their exclusivity and do a better job of getting the knowledge out rather than going down-market with accessories? We’ll find out after their revamp. Janus Thinking: Many thanks for the kind reference to the article on Unbound Edition. Seems we are thinking about many of the same things. Luxury is becoming evermore complex, and good dialogue like this certainly helps. Currently very interested in how luxury marketing is “less glamorous” than ever. See, for example, PlumTV ( http://www.plumtv.com ) and the brilliance of the easy / good / relaxed life in small communities. Luxury is part of the hyperlocal movement, at least in this example.